Like many of us, you’re probably managing several projects at once (some of them could be your scope of work) and still saying ‘yes’ to your boss or client. (I can really empathise.) It’s part and parcel of every job. Let’s be realistic, you need a strategy to handle this else you will eventually burn yourself out! Don’t be afraid to ask for help. Prioritise work and identify projects that can be outsourced where you could leverage the expertise of external talents. Thus, allowing you to deliver work faster and effectively. However, it may also come with a bunch of challenges that will become your nightmares, further adding on to your never-ending task list. 1. Loss or lack of control. This control could refer to many things, for instance, quality and quantity control over how your project is being done. Now, you are not a control freak if you want to be in control because your project is your ‘baby’ after all. So, don’t feel bad! But you have to learn to let go a little. Try to think of why you outsourced in the first place: lack of skillset, limited labour pool, budget, time constraint, etc. Prior to contracting your work to freelancers, do your due diligence by reviewing their portfolios and asking for their previous work. From this, you can set some ground rules and realistic expectations. Then, the only thing you need to do next is to let the experts work their magic on your project by letting them take ownership in getting the job done. Here’s a jaw-dropping fact: For most of the past 86 years, The Coca-Cola Company’s secret formula was locked away in a vault. Yep, you heard that right. Companies are working hard to differentiate themselves, so it makes perfect sense if they work doubly hard to keep their secrets safe. Want to prevent your trade secrets from spilling? Draw a crystalline contract between you and the individual or company that you hire, and continuously educate them about the disclosure of confidential information and the consequences if it is violated. For projects that contain private and sensitive information, get the talent to sign a non-disclosure agreement before divulging any details. Don’t get lost in translation or rather, transnational borders! Even if your hired talent is not in the same country and timezone as you are, there are multiple digital tools that you can leverage on for communication. If not, just go with hiring a local talent to potentially reduce the communication problems that might surface. 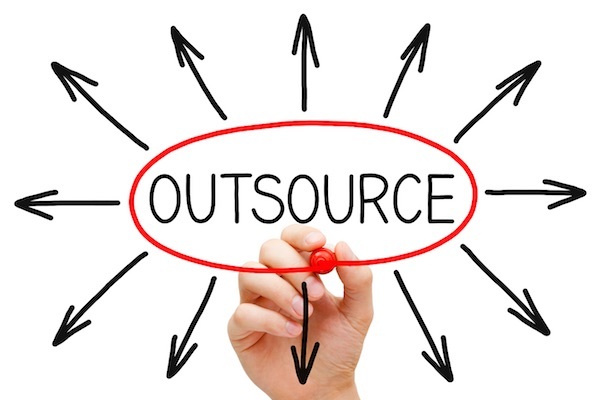 You know what they say: communication is the holy grail of outsourcing. Establish clear communication channels and be proactive in scheduling regular catch-ups. For the extra cautious, there are also online project management tools to help you keep track of the project progress such as Gantt, Trello, Wrike, Bitrix24, etc. Remember when your crush ghosted you? Or you must have at least heard about someone being ghosted. Being ghosted professionally by a freelancer, just like being ghosted in any other scenario…is definitely not a very nice situation to be in. But remember, you’re already one step ahead when you use an online freelancing platform to outsource. These platforms have the experience and can intervene should unforeseen issues as these arise. Just take a deep breath. Keep cool. Send 1-2 follow-up emails to the talent and raise the issue to the online platform to seek help. The bottom line solution to all these challenges? 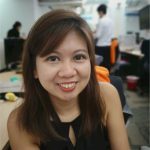 Tesma Gwee is the Senior Marketing Manager at ZomWork, the online freelancing platform which helps businesses connect with the right talent in areas such as design, IT, marketing, copywriting, video production and more. An experienced B2B digital marketer, Tesma Gwee has over 10 years of digital experience in global Fortune500 like Salesforce and startup companies, and worked across multi disciplines of digital marketing.